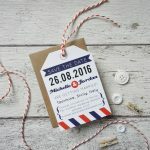 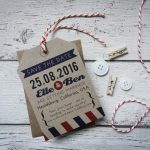 Vintage Travel Save the Date luggage tag with airmail design. 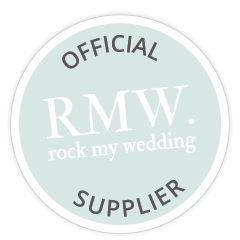 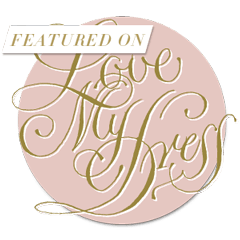 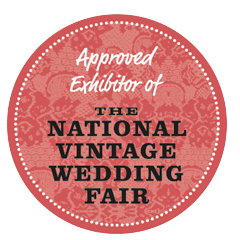 Ideal for overseas, destination weddings or for couples that love to travel. 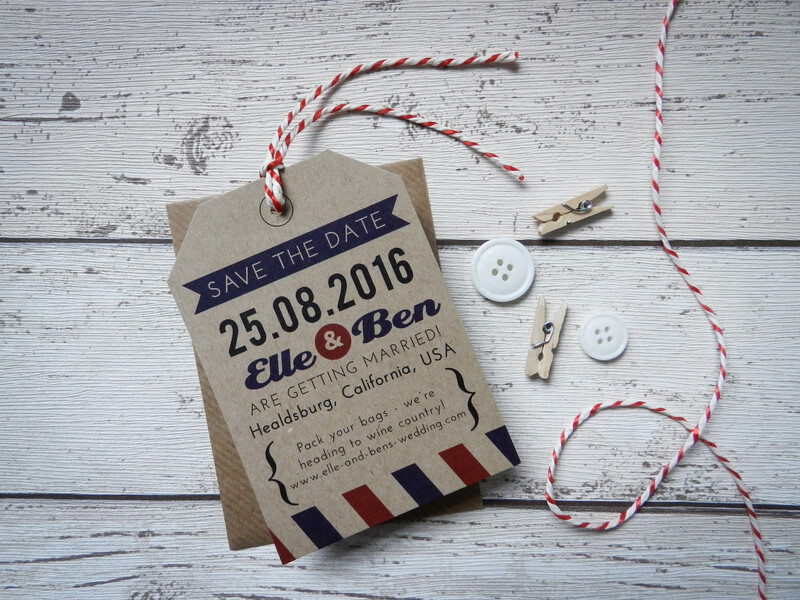 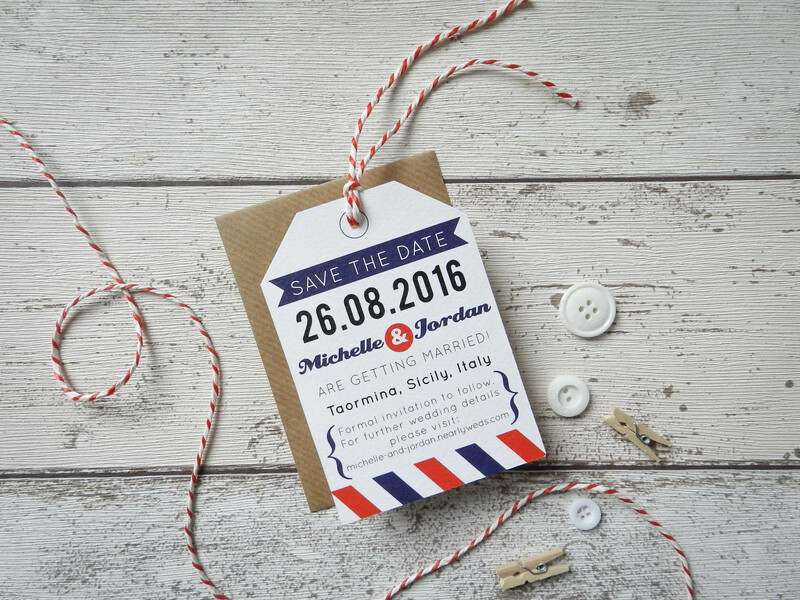 Printed on quality textured card, hand finished with red and white striped twine.